Whoops, dusty mirror alert! My grandparents were staying in my room for a bit while they were over from Ireland so let's just blame them ;) they're going home tomorrow though which is sad but they'll be back for Christmas so I'll see them very soon! They came over this time for my aunt's 40th, she had a parrrrrdy. This outfit is not what I wore, I wore this laaavely new Topshop dress. I had a good time even though I was my usual awkward self. There's always this one person I get stuck with at family do's who I have absolutely no clue what to talk about with because they only grunt when you say anything so I always end up stuffing my face with a big plate of food to fill the silence, last time I ate a too hot potato and ended up dribbling it out on a tissue. This time I took a big bite of quiche, usually my fave ever, except this one was gross so again I was making weird noises into a napkin. Not cool man, not cool. I blame the person, they should be better at conversing. So after making a swift escape from that situation I saw a boy who I knew years ago and said 'I know you! You stole my Wendy House hahaha!' And he was like 'What, who are you? What's a Wendy House?' He said he didn't have a clue what I was on about but we definitely gave it away to him, personally I think the fact he couldn't remember makes him ungrateful haha. But him and his sister were just looking at me like I was a weirdo. Still, I had lots of fun! Anyway, talking of burfdays my blog turned two yesterday...exciting times! I got rid of most of my old posts (but they're not deleted...could never get rid of all the memories haha!) because I just wanted a fresh start thing. But thank you to everyone who reads, comments etc...this blog is purely for fun but the best thing has definitely been talking to lovely people. I know everyone says that but it's true. I love the look of those shoes. I don't think I could ever pull them off though haha. Love this outfit, you always look so put together. 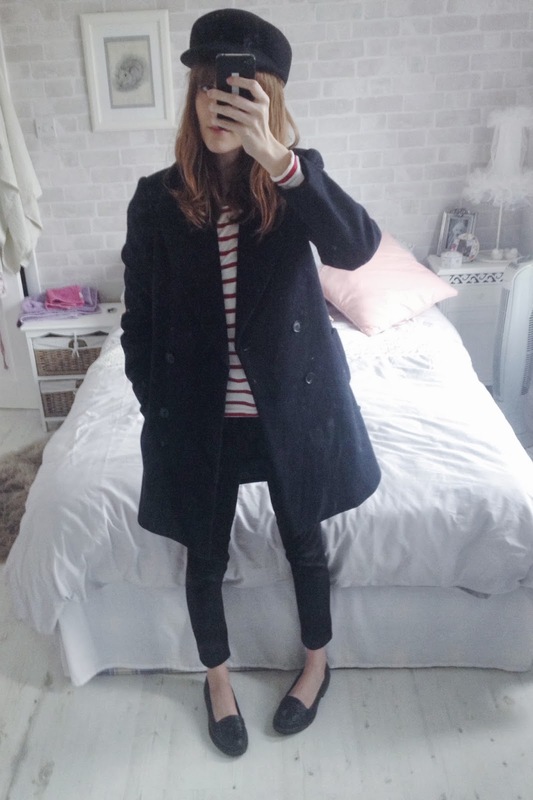 The breton top and cap are so cute! Happy belated blog birthday! I absolutely love that you eat when stuck in an awkward convo. I just stare blankly haha! Sidenote: I still want a cute baker boy hat. Just found your blog and I LOVE IT. 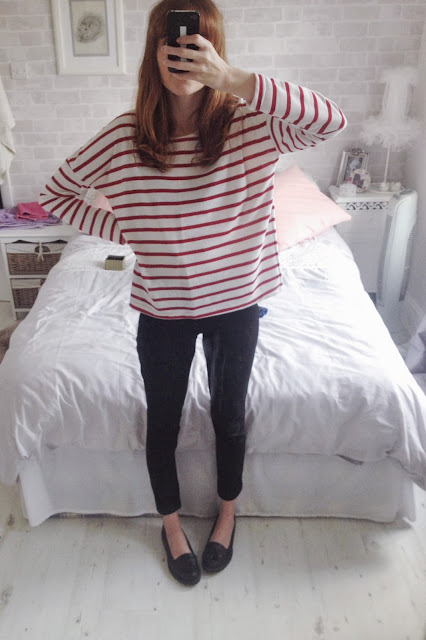 That red stripey top is lush and those shoes - surprised they are from New look, they look ever so sturdy. I love a breton top! Family parties always end up awkward at some point!! I love the dress you wore :) Happy blog birthday! Happy Blog Birthday Josie, I love coming here for my daily dose of fun posts and fantastically chic style, like the super cute top that I want to kind of steal. The party sounds great, there always those weird social meetings in them. Thanks for your kind visit sweety! This is such a lovely post! I like the look so much, the clothes are really chic. Anyway, I am so happy to be checking your blog again! Ahh happy blog birthday you lovely lady, here's to another 2 more years and beyond! Yay! Happy blog birthday! :D I hate awkward conversation, though to be fair, it's usually me that's the awkward one! I'm definitely that person at parties standing by the buffet just stuffing my face so I don't have to talk to anyone! Hah! That topshop dress looks gorgeous on you, love the shape & the sparkly top half. Also, how can someone not know what a wendy house is?! Well done to you for going for two years. Here is to many more years to come. In love with that coat. 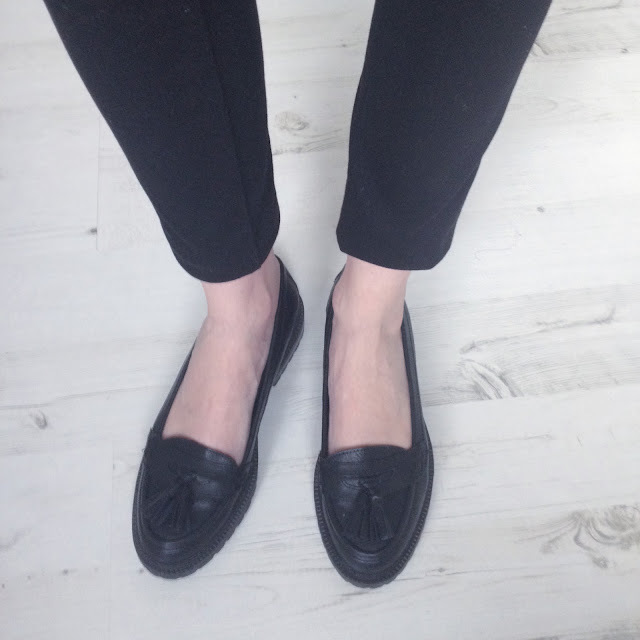 And happy 2 year blogiversary to Josie Loves Shoes! I used to have a wendy house too! That boy must have been well spoilt to not even remember having something like that, I loved mine soooooo much! Happy birthday to your blog! Oh my, I think I will be one of the "you considered weirdos, because I don't know what's a wendy house. Haha.